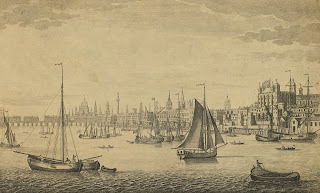 The South East Prospect of London from the Tower to London Bridge, John Maurer, 1746, Royal Collection Trust. 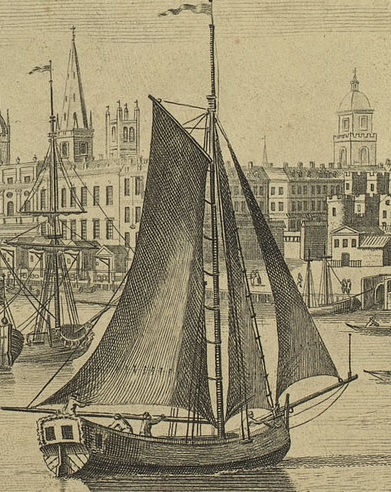 I am sure it is no surprise to you that London has changed a lot since 1746. Thanks to the wonders of Google Maps, we can see precisely how much it has changed. 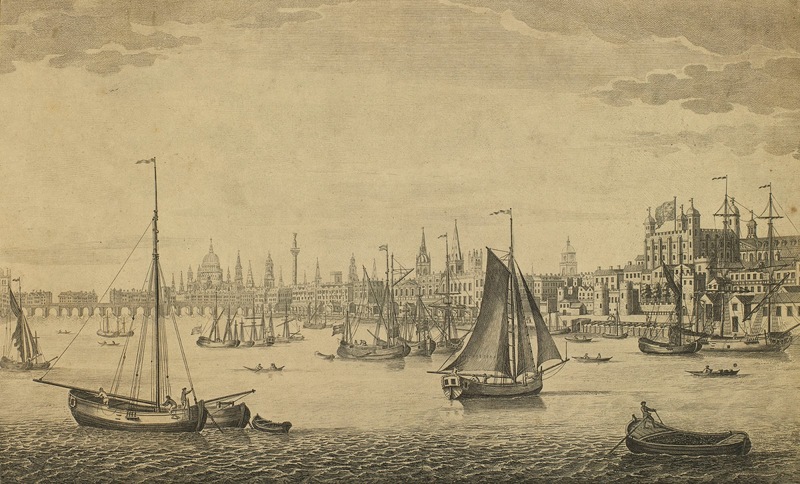 Follow this link to see almost precisely the same view as the artist had, with the Tower to the right, and London Bridge to the left. 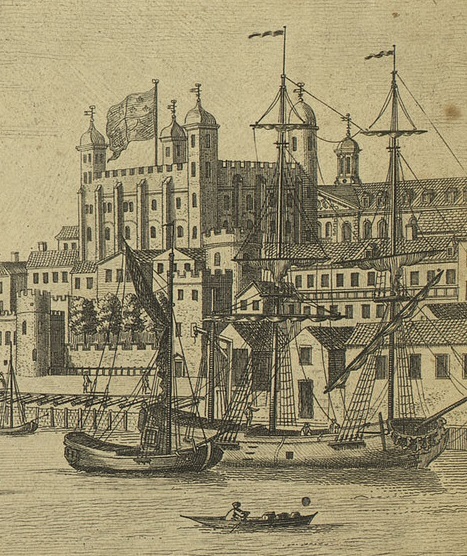 The Tower of London is the notorious castle and prison of the English monarchs. Portions of the Tower have withstood the test of time all the way from the eleventh century. In the eighteenth century, it held such prominent persons as American congressman Henry Laurens and Sir Robert Walpole. 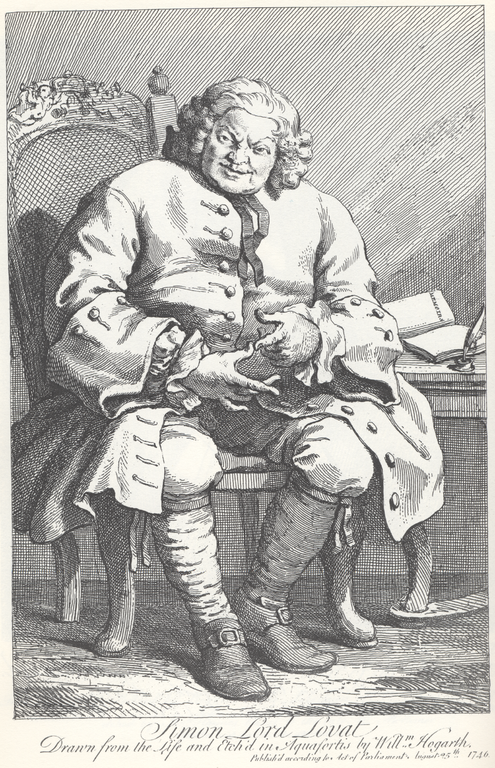 At the time this print was published, March 1746, the Tower held Simon Fraser, 11th Lord Lovat. Lovat had supported the cause of the Jacobites, and for his trouble would be the last man executed by beheading in England. Outside of the Tower, and perhaps only vaguely aware of the famous prisoner within, a number of sailors and watermen ply the Thames. 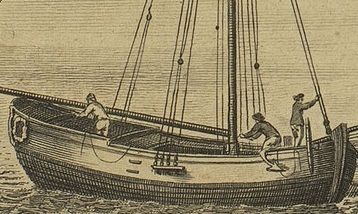 Aboard a sloop, three tars play at the lines. Furthest astern is a man in a workcap or hatless, his shirt or jacket tucked into plain trousers. At the mast is a tarpawlin in a short brimmed round hat with a dark jacket that ends at his waist, and either slops/petticoat trousers or plain trousers. We can more confidently say that the mariner further forward is wearing plain and close fitting trousers. His hat appears to be a cocked hat, and his dark jacket ends just below the waist. Downriver and under sail is another sloop, this one manned by four crewmen. At the tiller is a man in what appears to be a frock coat and cocked hat, so perhaps the captain. Amidships and at the bow are three non-descript sailors in jackets that end at the waist and trousers or petticoat trousers/slops.